Size of this preview: 800 × 494 pixels. Other resolutions: 320 × 197 pixels | 1,000 × 617 pixels. 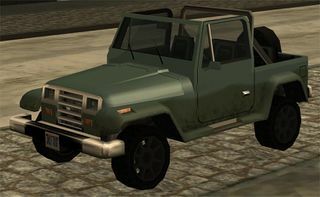 Front quarter view of a "military" Mesa in "Robbing Uncle Sam", Grand Theft Auto: San Andreas. This page was last modified on 11 May 2014, at 14:57.